I am taking a couple of weeks off. I am in Mexico and I thought I was going to be able to update the website every day. Unfortunately, I haven´t been very successful finding wireless internet service and I just decided that I will probably just enjoy my time off. I will be back next week! 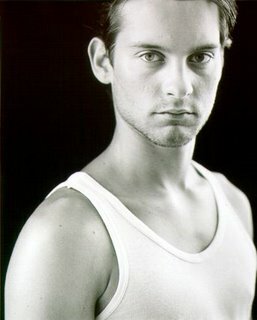 I have to say that even before Tobey Maguire wore the Spider-Man suit, I had a big crush on him. He looks a lot like my very first boyfriend and I just can't stop thinking of him everytime I see Tobey on the big screen. Someof us can't wait to see the new Spider-Man movie coming out next year.